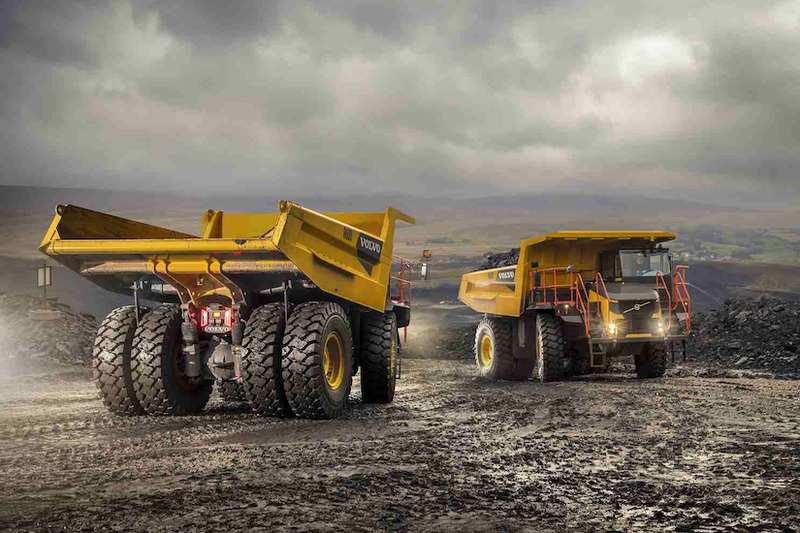 Although initially directed toward lesser regulated markets, the top two horsepower models of Volvo’s new rigid-frame haulers – the 60-ton R60D, 72-ton R70D — may make their way to more highly regulated markets, said Melker Jernberg, president of Volvo Construction Equipment in an interview at the Intermat trade show. “In fact, the first one we sold was to a customer in Sweden,” he said. “We’re in an exciting time,” Jernberg continued, “and the speed of change will continue to be high.” Today, the Volvo Group has more than 700,000 telematics-equipped vehicles in its client base, he said. The company’s research and development efforts can be seen in the the EX2 fully electric compact excavator and its electric site research project with contractor Skanska. “We are the only manufacturer with construction equipment, over-the-road trucks and engines,” Jernberg said. “We have great solutions for big projects.” This includes participation in the 100 billion Euro Grand Paris railway project, which is expanding the train network by 68 train stations around the city, and involving 22,000 construction jobs. Volvo EX2 prototype all-electric compact excavator. Earlier, Volvo won an Intermat Innovation Award for its fully-electric EX2 prototype compact excavator. Volvo says the prototype delivers zero emissions, offers 10 times higher efficiency and 10 times lower noise levels than a conventional compact excavator. The diesel engine on the EX2 has been replaced with two lithium ion batteries, totaling 38KWh, which store enough electric energy to operate the machine for eight hours in heavy-duty application, such as digging in compacted ground. Volvo says it also replaced the machine’s hydraulics with electric components, including electromechanical linear actuators that help optimize the transmission chain. With both the engine and hydraulics removed, which in turn reduced cooling needs, the machine has significantly lower noise levels.